Understanding what the king meant, Solon told the king plainly that he had seen at least three people happier than Croesus. One of them was Tellus, a soldier who died for his country. The other two were the brothers Kleobis and Biton who passed away peacefully in their mother’s lap, after fulfilling their filial duties. Then Solon told Croesus that the king should not judge the happiness of any living person, for no one can foresee destiny. Due to his dissatisfaction with the mighty Persian Empire ruled by King Cyrus, Croesus decided to attack Persia. Before the war, Croesus begged for the prophecy from two oracles—Delphi and Amphiaraus—who said that if he fought against Persia, a powerful empire would be destroyed. From the answer of the oracles, Croesus, confident he was doing the right thing, invaded Persia. Tragically, the king of Lydia was defeated. And the great empire he ruined was his own. His wife, Critias, committed suicide at the fall of Sardis. After occupying Lydia, King Cyrus wondered what to do with Croesus and eventually ordered the soldiers to burn the defeated king. When the flames roared up, the defeated man awakened, crying out with his face turning to the sky, “Solon! Solon! Solon!” King Cyrus asked Croesus why he had called out to Solon, and was then told about Croesus’s conversation with the sage. The king realized that his own story was reflected in that of the defeated, and hurriedly put out the fire, which by now was raging. Croesus all of a sudden remembered the Gods, and prayed for Apollo’s help. Right after that, the clear sky turned gloomy with black clouds and a heavy rain pouring down on the fire. Knowing that the Gods did not want to see Croesus die, Cyrus happily released Croesus and appointed him his close adviser. 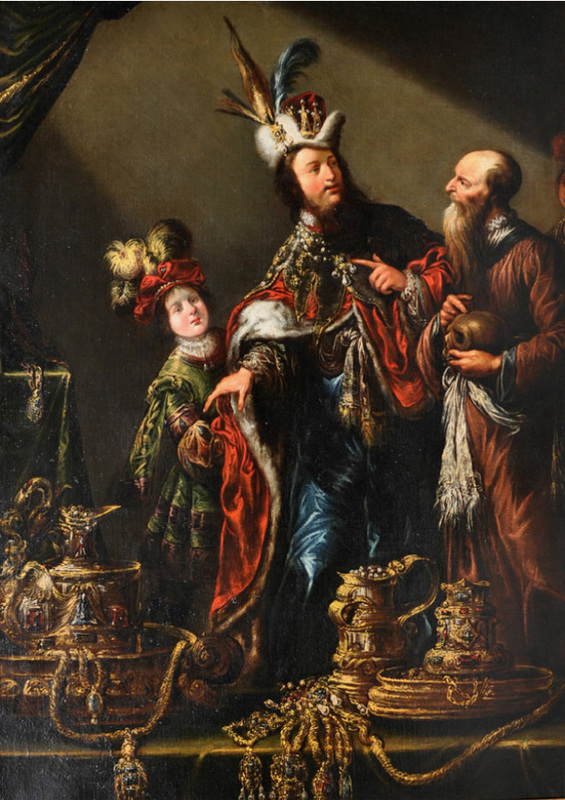 Croesus was devoted to serving Cyrus, and his son Cambyses. 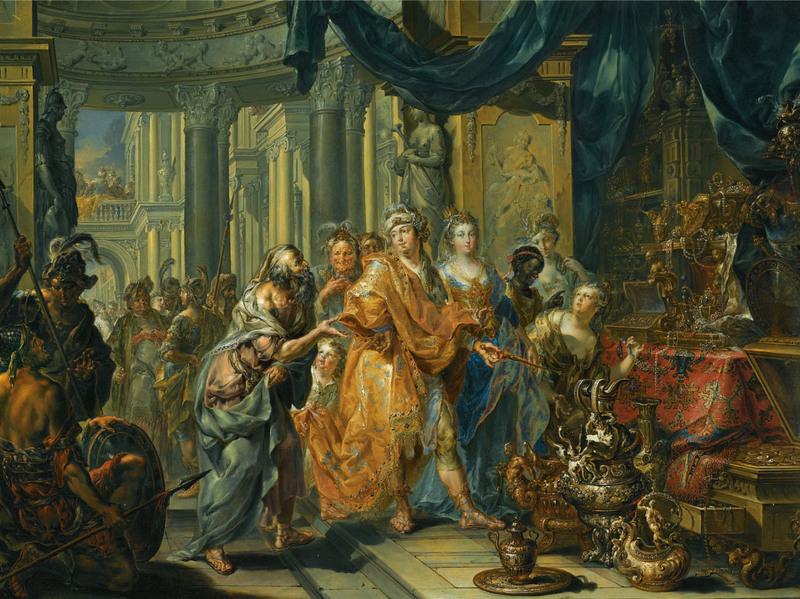 After experienced these life-changing events, Croesus became extremely depressed because he misunderstood the prophecy. Croesus went to the Temple of Delphi to complain about his doubts. The nun guarding the temple condemned Croesus for being so bold as to question the Gods. And also told him the truth about his fate. Accordingly, the fall of the Lydia dynasty was due to the sins that Croesus ancestors had accumulated in the past. And Croesus’s defeat was predestined. It was because Croesus was so confused and overconfident in his interpretation of what the oracle told him that he decided to fight Persia, and lost his kingdom. 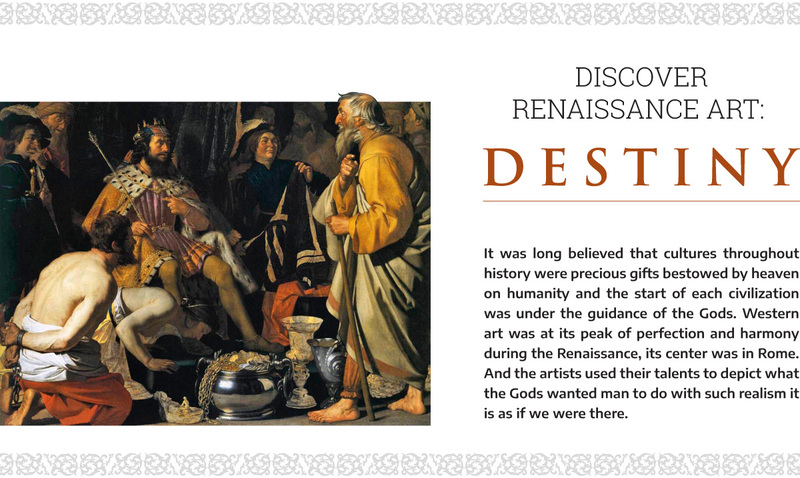 The story of King Croesus, the sage Solon, and destiny was one of the most interesting themes in ancient Greece. 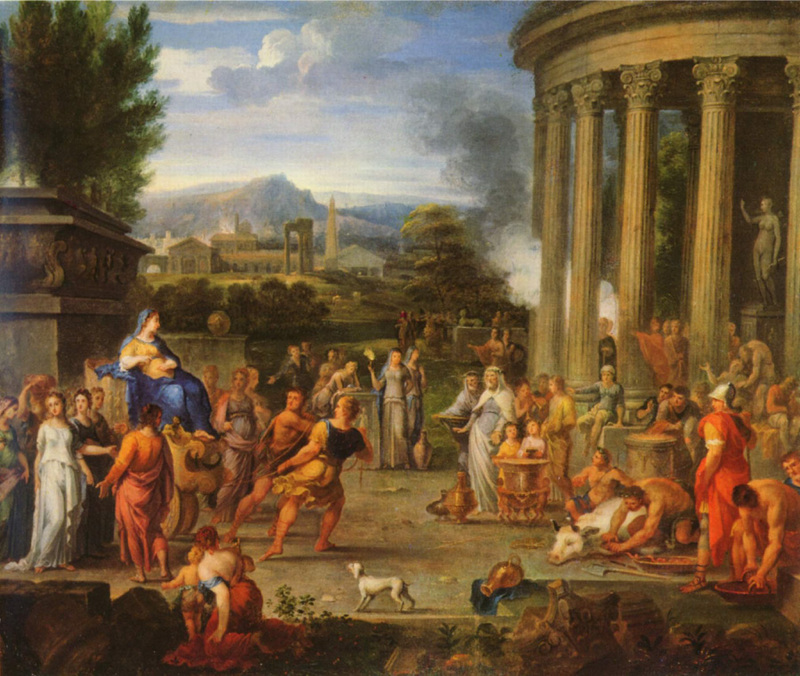 “Croesus’s Happiness” had become a metaphor for Tyche’s erratic, the blind Goddess who governed fortune and prosperity. 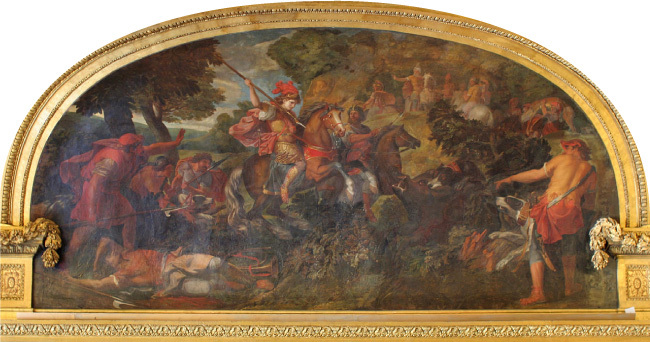 When depicting this story in paintings, Renaissance painters often meticulously portrayed King Croesus’s happiness as shown through his eyes. Be it decisive power over people’s lives, countless treasures and jewelry, the desire of beauty, and many other material objects. 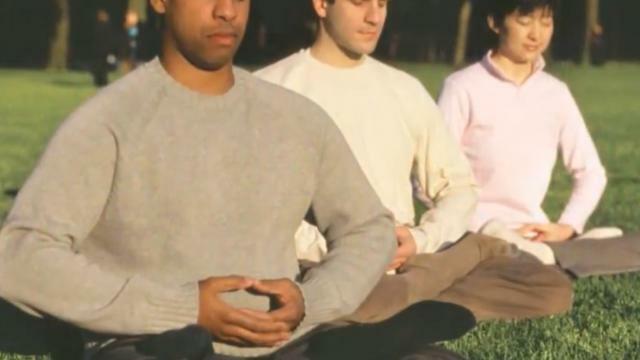 Perhaps, they want to tell the viewer that materialistic happiness is something very unstable without the presence of inner peace.